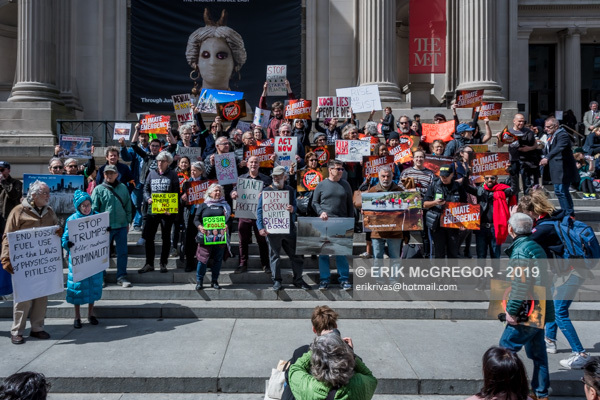 New York, NY – Activists from Rise and Resist, with co-sponsors 350NYC, Food and Water Watch New York, and 350 Brooklyn gathered at the Koch Plaza outside the Metropolitan Museum of Art in NYC on March 24, 2019 to call for a massive global response and urgent action to end our climate emergency and demanding the rejection of climate denial and delay. 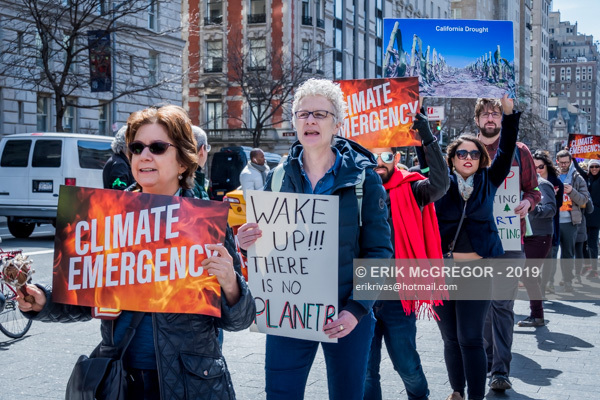 We are rallying at Koch Plaza to call out the chief funder of climate denial, the lie that is responsible for our climate emergency. 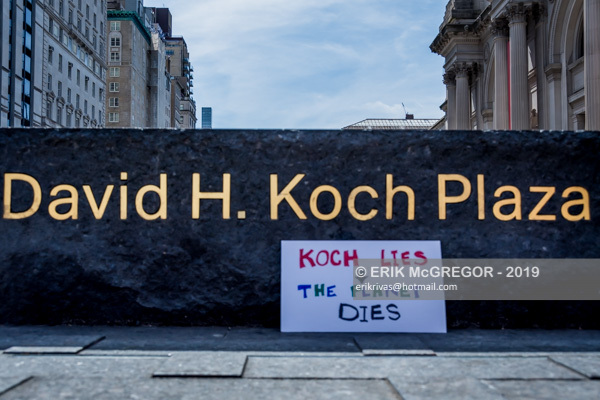 More than two decades ago, David Koch began pouring a fortune into lies about climate change and lining the pockets of climate-denying politicians. Climate-denial paralyzed government response and two decades later we are on the cusp of disaster. 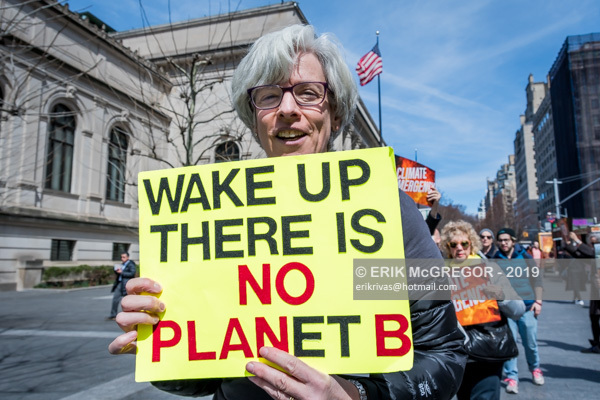 We are also calling out the latest and perhaps the most destructive iteration of climate denial, which is the claim that we cannot afford to take on climate change. Of course we can. We have the means and the technology; all we need is the will. 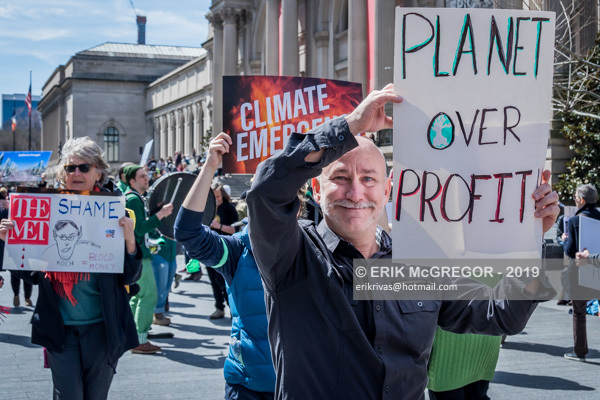 Climate disasters will cost even more than climate solutions. And we have no choice. We must do it now or there is no later. 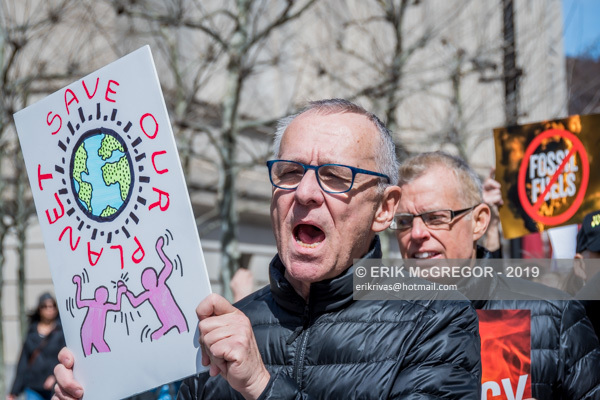 This rally follows directly on the massive School Strike for Climate and is undertaken in solidarity with the striking schoolchildren. 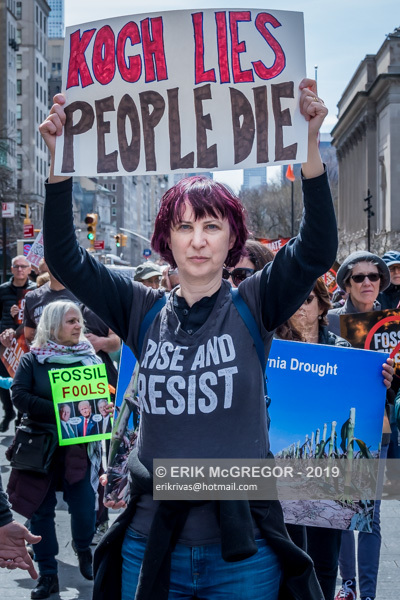 Scientists tell us that we have only a decade to make the changes necessary to stave off total climate disaster, yet David Koch and Koch Industries continue to fund the propagation of the lie that climate change isn’t real. Almost as dangerous, some political leaders claim to believe climate change is real but say we can’t afford a large-scale response. 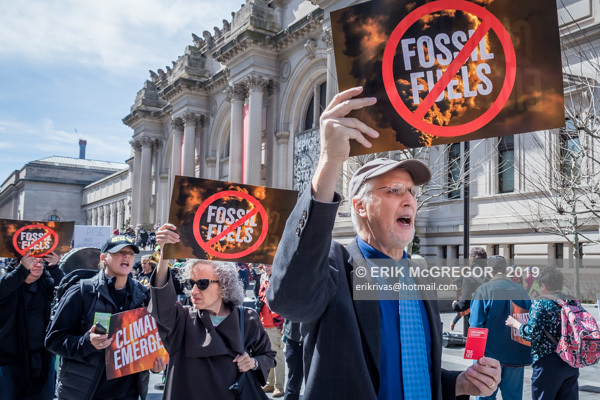 Sunday, at the plaza named in honor of the person who as much as any other is responsible for the current climate emergency, activists will demand an end to deception and delays and insist that the world come together to fight climate change with all the ingenuity, focus, and ferocity we can muster. 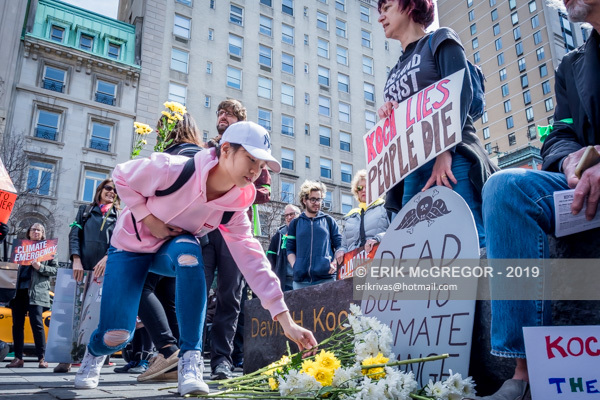 According to Greenpeace, over the last two decades the Koch family foundations spent almost $130 million to directly finance 92 groups that attacked climate change science and policy solutions. 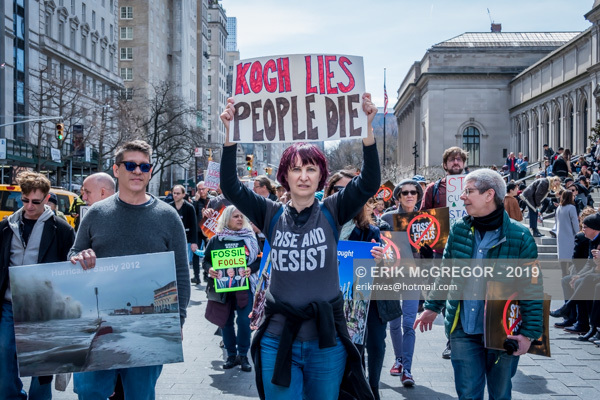 And according to Rolling Stone, Koch Industries spent $38 million on lobbying Congress to kill climate legislation. 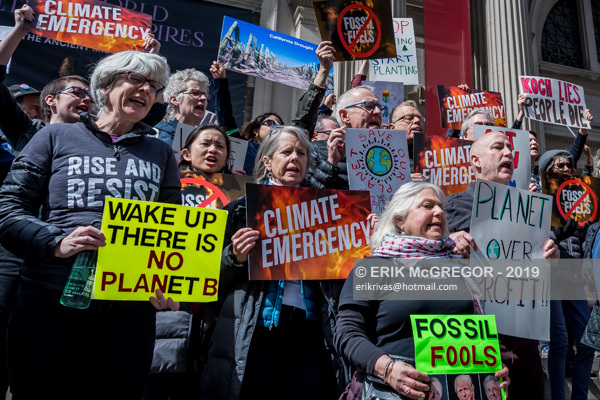 The resulting climate denial paralyzed our government’s response to the growing emergency and now we are on the cusp of disaster. 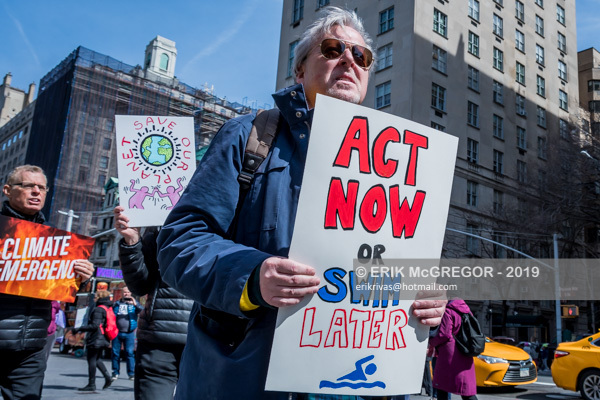 Highlighting the recent destruction caused by Hurricanes Sandy, Maria, and Harvey as well as the fires in California, the Polar Vortex and droughts around the world, this peaceful protest will seek to mobilize the public to demand more and better climate legislation from their representatives.